A total of approximately 2 hours of video taken from a car window, driving up and down the north-south streets in Caldwell, Kansas, on March 7, 1989. The video begins at the north edge of town on Highway 49. There are occasional comments by the driver or videographer noting some intersections and public buildings, businesses, or home ownership. 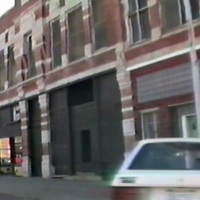 “Caldwell North-South Streets 1989,” Digital Caldwell, accessed April 26, 2019, https://caldwell.digitalsckls.info/item/525.